Our ministry focus is the area of Missionary Development and preparing missionaries for various countries around the world.. Welcome to our family web site. We want to share with you information about our family to help you get to know and pray for us better. Thank you for taking the time to learn about our lives and our ministry. Read more about our Brazil Amazon River Ministry. 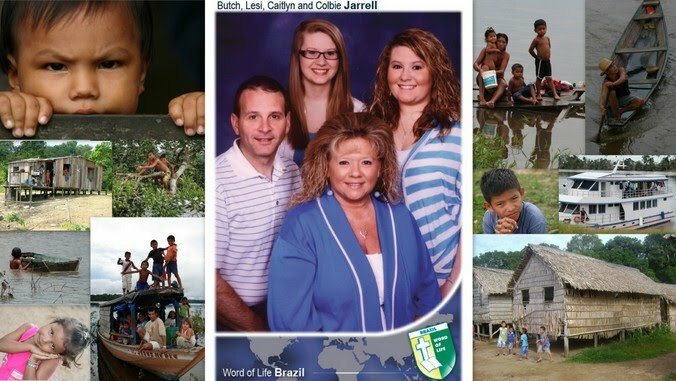 We served as missionaries in Brazil taking the gospel to remote river communities. Now we are based out of upstate NY but traveling to various countries around the world to conduct our Missionary in Training courses preparing missionaries to go to all areas of the world. I highly recommend using online cloud storage for backup and storage of files. Most online solutions allow for backup and retrieval across multiple devices such as PC, Web, Smart-Phones, Etc. There are several online cloud storage options available that work well. Here are a couple that I personally recommend. With Dropbox you get 2GB of free data storage. Install Dropbox: https://www.dropbox.com/referrals/NTU3NTUzODk5 Follow this link to install Dropbox and we both will get an extra 500MB of storage. With Microsoft's OneDrive (formerly SkyDrive) you get 7GB of free storage. Follow this link to install OneDrive and we will both get an extra 500MB of storage.